I have found during researching William Barlow's life that he spent around five years living in the County of Hertfordshire. 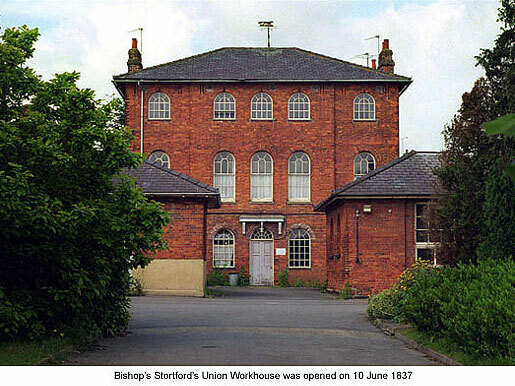 It was in Bishops Stortford, Herts that William and his second wife Hannah were employed as Master and Mistress of The Bishops Stortford Union Workhouse from January 1848 to November 1850. They came to the job fresh from Pentonville Prison....however they weren't jail birds! William had been employed as a trade instructor there. During the time that William and Hannah were in these positions they were also applying for other jobs. I have transcribed a series of "testimonials" or references and placed them on another page here. In November of 1850 they moved to take up the same duties in the St Marylebone Union Workhouse and part of the diary entry from William records the costs associated with Christmas Day in a workhouse! Folios 320-321. Letter from Robert Hosking, Governor of Pentonville Prison, to the Poor Law Board, relating to the appointment of William Barlow as master of the Bishops Stortford Poor Law Union Workhouse. Hosking reports that he found Barlow to be sober, steady, industrious and attentive to his duties as master weaver. So far as business capabilities are concerned however Hosking describes Barlow as slow and apt to bestow too much consideration on unimportant details and to create difficulties where none existed. He further describes him as irritable, fidgety and self-willed. Hosking states that Barlow is leaving his situation as trade instructor to the weavers voluntarily, and not because of any misconduct or fault leading to dismissal. Paper Number: 983/A/1848. Poor Law Union Number 167. Counties: Hertfordshire and Essex. This document includes all the references found at the National Archives ( thanks to Bill and company for their transcriptions) for "Barlow" and "Bishops Stortford Union Workhouse". Petr Higginbotham has a fantastic website at Workhouses. You can search for individual locations by county, read about the Poor Laws and life in the workhouses and much more. David Handscomb has helped me by providing a personal connection with the Bishops Stortford Union Workshouse. 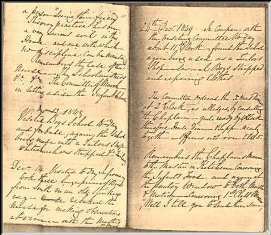 He has written a story called "Our Hospital" being an account of his time as as a nurse in training at the Haymeads Hospital (on the workhouse site). I am very fortunate that David has provided me with such a wealth of information and personal narrative from the Workhouse. and here you will find a series of photos Stortford History I have been very fortunate to have received the assistance of the staff at the Hertfordshire Archives & Local Studies (HALS) They provided me with a copy of the minutes from the Board of Governors and in return, I gave them a transcription of William's diary when he was Master of the Workhouse.